Today in the Rushcutter sew-along, it's time to print out our PDF pattern! Some of you may already have the printing, trimming and cutting of PDF patterns down to a fine art, but for those of you who hear the phrase 'PDF pattern' and shudder, I'm going to show you that it's not too bad at all! Download the pattern to your desktop and save it (this way you will be able to access it whenever you want). Open the file in your preferred PDF viewer. I use Adobe Acrobat (if you don’t have it, you can download it for free here). 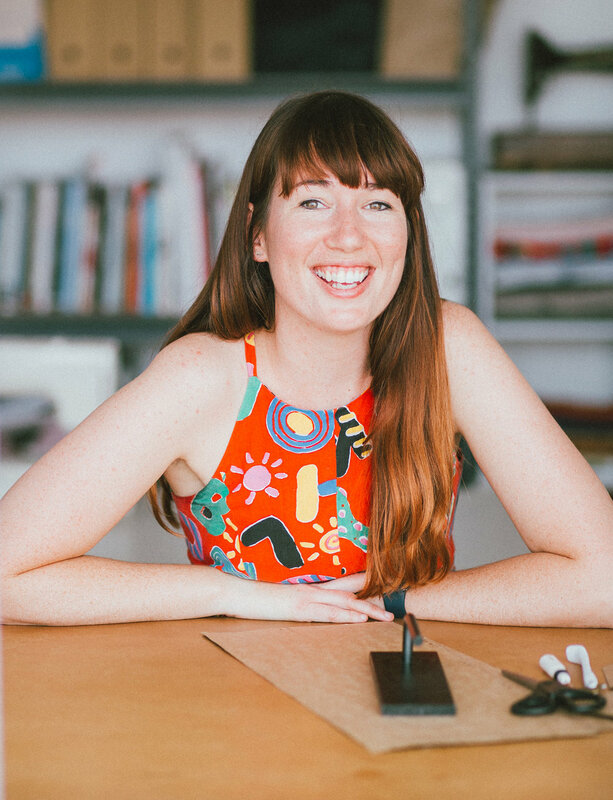 When you buy the Rushcutter, you will receive three different files – the pattern, in both print-at-home and copy shop format, and the instructions. They will come in a zip file. The pattern is designed so that you can print it on A4 sized paper or US letter sized paper. The copy shop version is designed to print on 3 sheets of A0 paper. The pattern was designed to have layers embedded. This means that you can select only the size (or sizes) you would like to print! Layers make it much less confusing to cut out the pattern, and also saves on ink (and paper in some cases). When you have the pattern file open in Adobe Acrobat, look to the left hand side of the screen. You will see a vertical panel with a few options available. Click on the icon that is called ‘Layers’ (third one down). This will open up your layers panel, so you can see what layers are available in the file. You will see that there is a separate layer for each of the available sizes, the in-seam pocket (the same for all sizes), as well as for the ‘pattern info,’ ‘grid’ and ‘tags.’ There is an eye icon next to each layer, and this lets you know whether the layer is visible or not. Turn off (by clicking on the eye) all the layers you don’t require. Remember to keep the ‘TAGS,’ ‘GRID’ and ‘PATTERN INFO’ layers on for all sizes. Before printing the file, you will need to check the scaling settings on your printer. Print only Page 1 of the pattern, and check that the test square measures exactly 5cm x 5cm or 1in x 1in. It really needs to be precise, so if it is not quite right, you will need to go back and check your printer settings again. Check both the vertical and horizontal measurement of the test square, to ensure the scaling is right in both directions. When you have the scaling right, you can print the remainder of the pattern. In most cases, you won't need to print all the pages. There is a printing plan on page 6 of the instructions, to help you work out which pages you do and don't need. Cut around the border of each page - one long side and one short side (keep your choice of sides consistent between pages). Align the circles so that 1A matches up to 1A, 2A with 2A etc, and tape or glue in place. 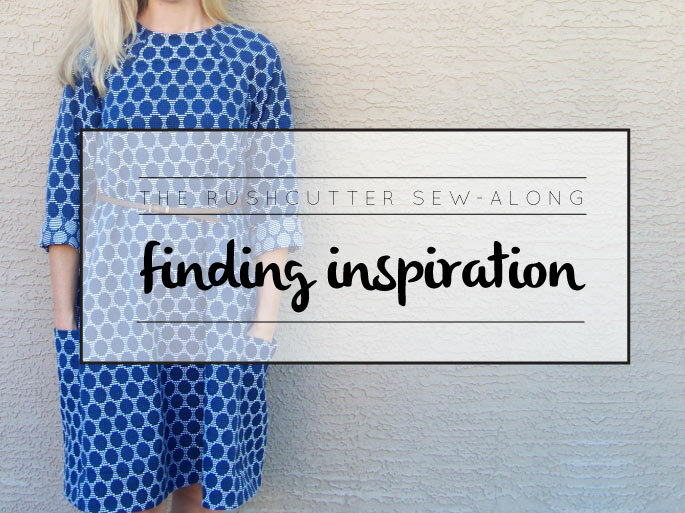 Posted on October 26, 2015 by Emily Hundt and filed under sewalong, the rushcutter and tagged pdf sewing pattern pattern tutorial rushcutter sewalong.